To connect NowRenting to your local installation of QuickBooks Desktop, you’ll need to create and upload a Chart of Accounts file, to give NowRenting some basic information about your company structure. First, ensure that your QuickBooks company has at least one Income Account and at least one Bank Account configured. 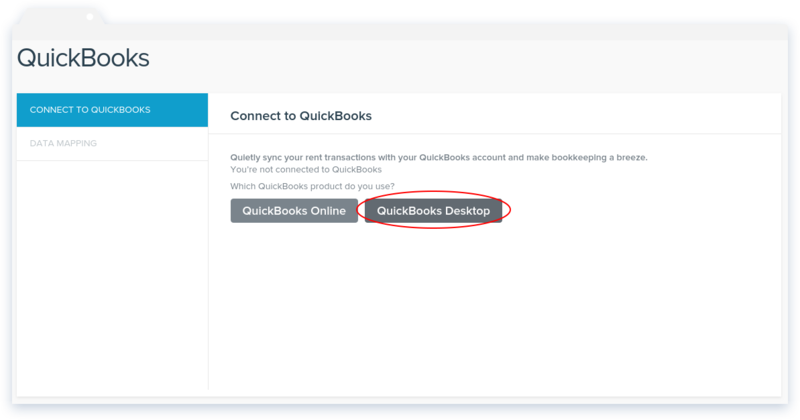 For details on how to add or configure accounts, see the official QuickBooks documentation here. Next, export your QuickBooks company Chart of Accounts as an IIF file. Please refer to Intuit’s official instructions here. Navigate to File > Utilities > Export > Lists to IIF Files. Choose *.IIF for the file type and Save. 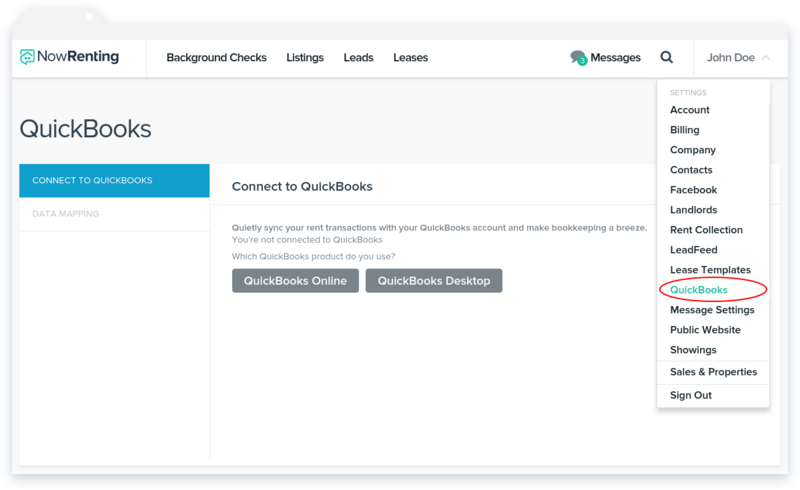 Sign in to NowRenting and select QuickBooks from the dropdown menu in the upper right. Click Upload File to upload your Chart of Accounts IIF file. Congratulations! 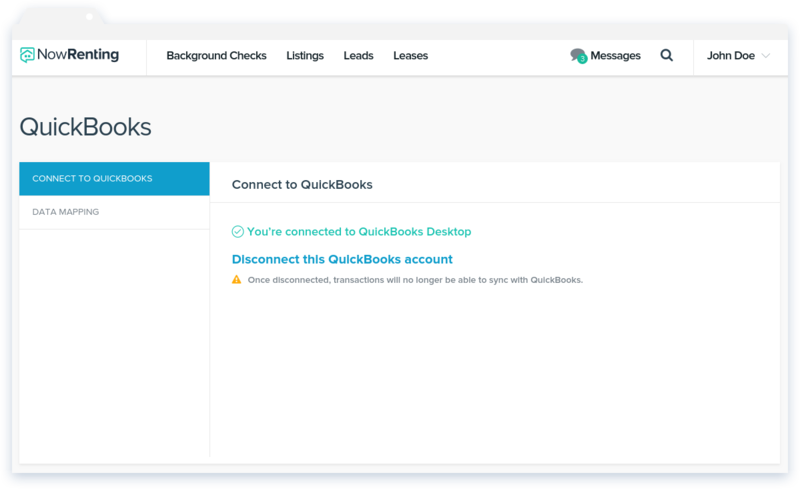 You’ve connected your NowRenting account to your QuickBooks Desktop company. You’ll want to set up Data Mapping, so that NowRenting will know which QuickBooks accounts correspond to which Leases. You should find that the options available under Income Account and Deposit Account match your QuickBooks Desktop company. Each Lease is listed on its own row. The dropdown inputs in the Income Account column represent your QuickBooks income accounts. Select the one you want to associate with the Lease shown in this row. The dropdown inputs in the Deposit Account column represent your QuickBooks deposit accounts. Select the one you want to associate with the Lease shown in this row. The Customer column will use the name of the tenant by default, but you can enter a different name if necessary. If you have configured classes in Quickbooks, you’ll be able to associate each Lease with a class. The class will be set on all payments sent to QuickBooks from that Lease. 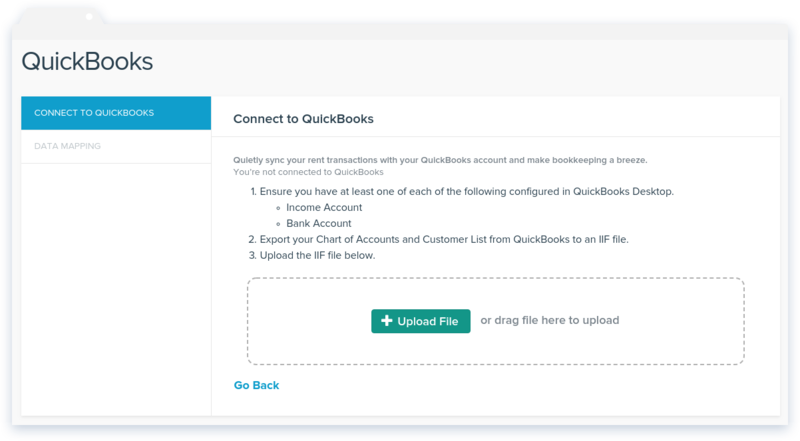 See here for Intuit’s documentation on how to configure classes in Quickbooks.